I still remember the first time I witnessed an unfair advantage in a national bass tournament. Roland Martin, credited at the time as being the greatest tournament fishermen who ever lived, sat perched high above a bedding bass, his view enhanced by the use of a temporary platform he erected on the front deck of his boat. A veteran to both fresh and saltwater fishing, Martin knew the incredible advantage tall �poling platforms� gave to inshore fishermen, and he simply applied the logic to his bass rig. If my recollection is right, Martin was forced to construct the platform each day upon arriving at his fishing location, as traveling with the platform in place was somehow against the rules, or not up to Coast Guard standards. In any case, once at the spawning grounds, Roland made hay on his perch while his competitors watched in envy. Throughout the decades that followed, similar scenarios have popped up a time or two. Competitors have used extra-small rigs to pop through a culvert, accessing remote backwaters filled with bass, or extra-large machines to traverse the country�s roughest waters and fish untapped schools of smallmouths. They�ve gone as far as using jet-drives to run the rapids. Again, rules were put in place to prevent professionals from gaining an unfair advantage in very specific situations. 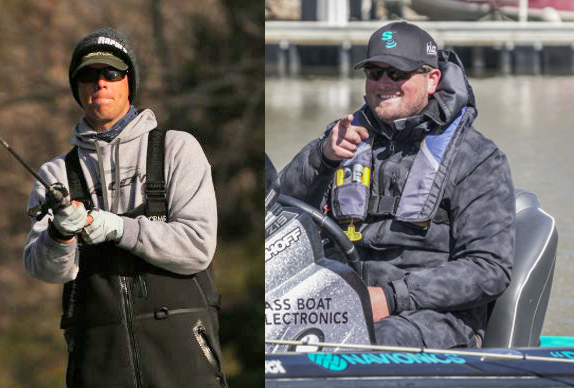 FLW enacted horsepower minimums and maximums to keep all competitors in similar, propeller-driven rigs, while the Bassmaster Elite Series required all players to stick to one boat for the entire season, regardless of venue. The idea, really, was to keep an individual contestant from gaining an unfair advantage over the rest of field. Most everyone gets it and supports it; after all, pro sports have always held to a set of standards for equipment for this very reason, from pine tar to restrictor plates. I think you know where I�m going with this. In terms of the lesser circuits, the subject of forcing competitors into the modern chariots of professional bass fishing was sometimes a little sticky. Often, working-class competitors brought a plethora of rigs to triple-A events, for example, as many jackpotted single events on their local waters, where their specialized boats were best suited. Heck, I fit into this category at one time, running a Ranger 620 specifically for the incredible competitive advantage it offered in heavy swells common to the Great Lakes. 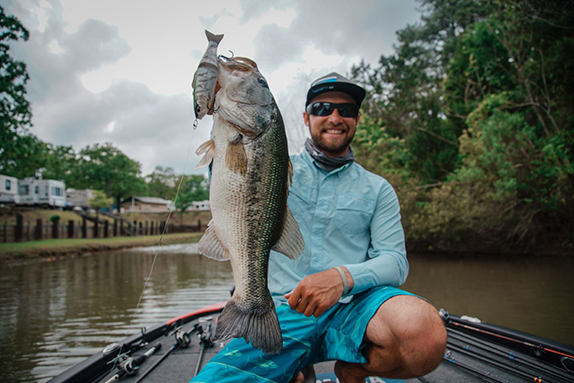 Earlier this month, we saw the subject again pop up, as Ott DeFoe � an Elite angler by trade � used the most specialized craft ever seen in a modern bass tournament to win the Douglas Lake Open event. His rig, complete with a tunnel hull and double jackplates, easily traversed waters inaccessible to 99 percent of the field. Now, DeFoe is a master angler with potential to win a tournament in any boat, and was completely within the rules; that�s not the point. But, with all of the changes and apparent new direction of the B.A.S.S. Open trail, one must ask: Why was he allowed to bring his rock-runner in the first place? As we�ve discussed here in recent times, the B.A.S.S. Opens are designed to be the Elite Tour entry point, now requiring a more professional level of commitment from competitors, as event number, cost and travel have all increased for hopeful pros. Open events mirror the Elites with other rules: anglers may not fly over a lake or use a drone to locate productive fishing areas. They can�t fish with anyone but other competitors during practice. 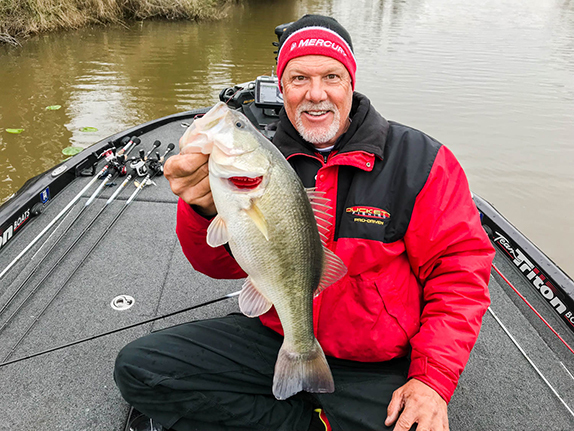 Heck, beginning this year, Open anglers can no longer use umbrella rigs � the same rule enacted into the Elite tour a couple years ago. So why can Open anglers still fish out of specialized crafts that were outlawed in the national ranks as far back as 2012? I don�t have an answer; in fact, I can�t think of any reason why rules should be different for the Opens and Elites, or Costa events and FLW Tour, for that matter. With the exception of things like logo commitments, jerseys or press interaction, triple-A should mirror the pros. I mean, if there�s a horsepower limit of 250, rods maxing out at 10 feet, long-lining is disallowed and no one can use a net, how can a few individuals use drastically different boats from the rest of the field, allowing access to all new water? To me, this makes no sense, but maybe I�m missing the point, as I�ve done so before. Perhaps you can weigh in and clear it up for me; I�ve got to order another jackplate.